I'm driving to work and I hear her sweet voice in my ear. "Just give me a decade." Remembering all that her Son had done for me, I thought, "Ok, I can do that." I pray the decade, which led to two decades, which led to the Rosary every day. It is true, if you pray the Rosary, you cannot stay in sin, you will either give up the Rosary or the sin. I gave up the sin, and I came home. I appreciated him letting me stay and pray because I didn't have to cross the bridge, but there was an added benefit, I was alone with HIM!! My heart was heavy, because as I was falling back in love with Him, I knew deep in my heart that I could never be what I most wanted. I could never be a bride of Christ. Not because it was not possible, but because of my past. If I could not be faithful in little things, and because of my sin, I didn't think I could ever be faithful to Him in large things. My heart was so sad because I loved Him so much, and wanted to be His, but thought I never could be, ever. Mother has a way fixing things. What I saw was totally unexpected. I had resolved that I would never have my wish to be a bride of Christ and resolved to go on with my life. I NEVER TOLD ANYONE OF MY DESIRE. I kept it in my heart only. After about a year of being "home", I was in Our Lady of Perpetual Help Church by myself praying the Rosary. I am adoring the Holy Eucharist in the Tabernacle, when I see in my mind Our Lady of Fatima standing before me. She was wearing the white with the gold trim and she was smiling at me. As this was only in my mind, I thought it was my imagination. 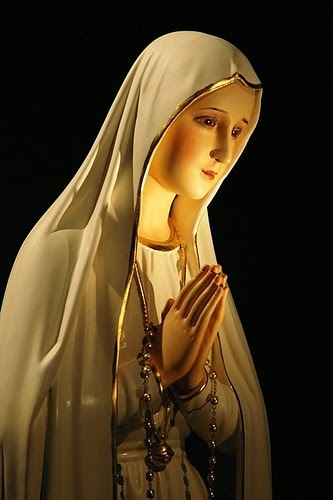 (I have a great devotion to Our Lady of Fatima) I began to think of something else, a Math equation, to make it go away. (That always works!) It didn't go away. I found I had no control over what I was seeing in my mind. 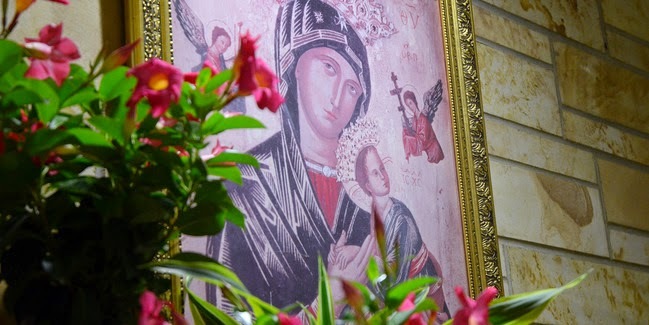 And it was like the Blessed Virgin knew what I was doing to make the vision of her go away, because she smiled at me like any Mother who says, "I know what you are doing." 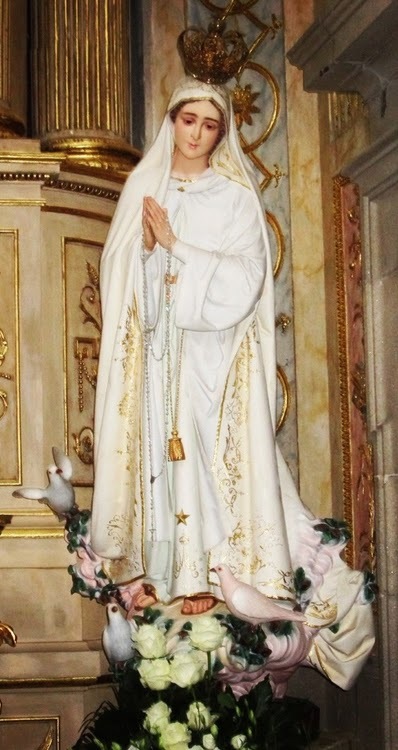 Then in the vision in my mind, The Blessed Virgin approached me where I was kneeling in my pew and took a white cloth and placed it on my head and with her two small hands smoothed it down on either side of my head. I began to cry. She was letting me know that she accepted me as a potential Bride of Christ. What I thought was IMPOSSIBLE, she made possible.